Offering organizational learning programs that engage employees within the culture may help them implement strategies learned within the organization. The current theoretical research scope was performed to bring a greater understanding of the effects of cultural norms upon learner preferences in organizational learning programs along with self-leadership strategies and general self-efficacy due to the possible effects of individual characteristics upon the overall organizational performance. Due to the intrinsic motivation and biological makeup of the individual, a learner style may be skewed simply because their perception of the cultural norms and effectiveness of the organizational learning program. Cultural norms may have an effect upon learner preference within organizational learning programs; however, the magnitude and direction affects learner preference may be dependent upon self-leadership strategies and the level general self-efficacy. Cultural norms affect learner preferences in organizational learning programs in various and significant ways. Cultural norms may either encourage or inhibit the preferences available to learners when transformative learning practices are employed. Depending upon the organizational norms, individuals may feel that the organizational learning programs are trustworthy, helpful, or useless. The success of organizational learning programs are ultimately determined by how well they use transformational learning practices; independently or collectively. This chapter proposes avenues organizational learning practitioners can use to evaluate and improve the organizational cultural norms that affects learner preferences through the lens of the transformative learning theory, general self-efficacy beliefs, and self-leadership strategies. Also, this chapter addresses how the employment of these methods hold the propensity to increase the effectiveness of an organization’s performance. 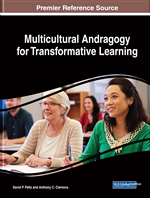 Here, cultural norms, learner preferences, organizational learning programs, and transformative learning practices are defined and intertwined into a cohesive ideology. The influences of self-efficacy and self-leadership strategies upon cultural norms, organizational learning programs, and transformative learning practices will be discussed to determine possible independent and collective effects upon learners’ preferences.